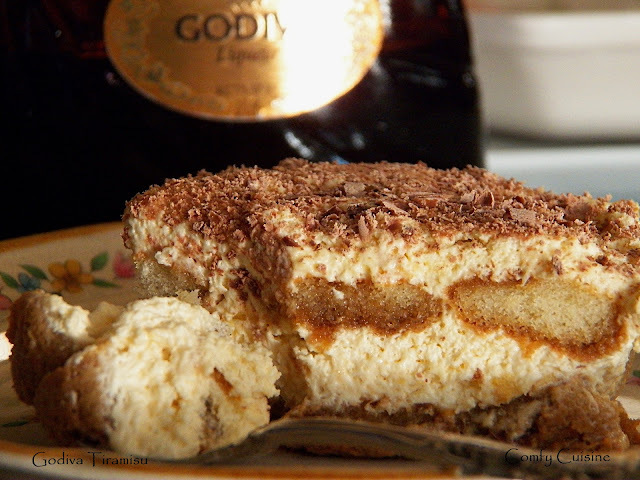 This recipe for Tiramisu requires 3 different methods for the ingredients, but you will end up with the lightest Tiramisu ever! - and the Godiva Liqueur doesn't hurt either. this looks outstanding.... Happy New Year!!! This looks decadent! Thanks for sharing with the Happy Holidays Link Party!